For me, a visit to England would not be complete without discovering the history of the country. 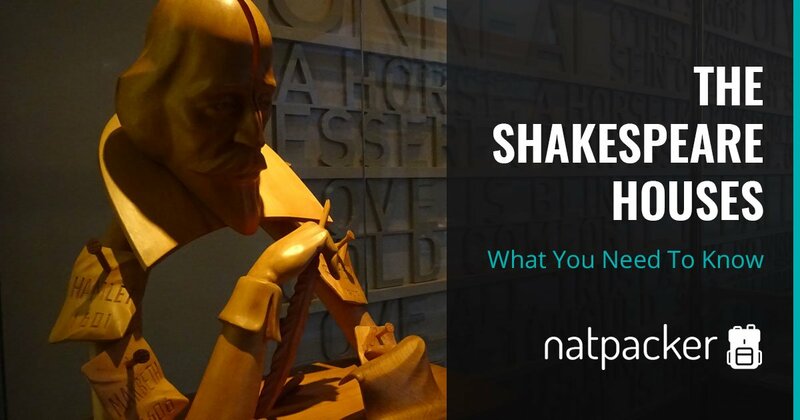 And what better way than to explore the history of the world-famous bard, Shakespeare. The only place to do this is in Stratford-upon-Avon, in the West Midlands. This market town is where he was born and so, naturally, there are plenty of Shakespeare themed attractions and links to the poets. Here you can visit his grave, see where he went to school and visit the five Shakespeare Houses owned by the Shakespeare Birthplace Trust. 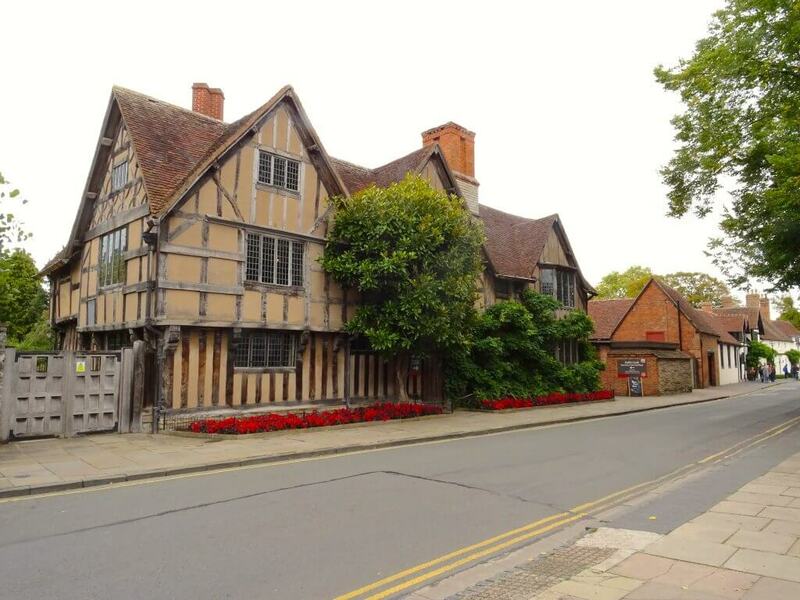 The house of Shakespeare’s birth is easily found in the centre of town and is a good place to start when learning about the famous playwright. In this house, John Shakespeare (William’s father) lived and worked for 50 years, at that time it was the largest house on Henley Street. This is where William Shakespeare was born, grew up and spent the first five years of his marriage. From the outside, the house can be recognised not just by the hordes of tourists getting a picture, but by the Shakespeare Coat of Arms above the door to the left. You don’t enter the house directly from the street but first, go through a small museum about Shakespeare’s influence and legacy. This brings you to the back of the garden behind the house. Once in the house there are staff, dressed in Tudor garb, inside that are happy to help with any questions. 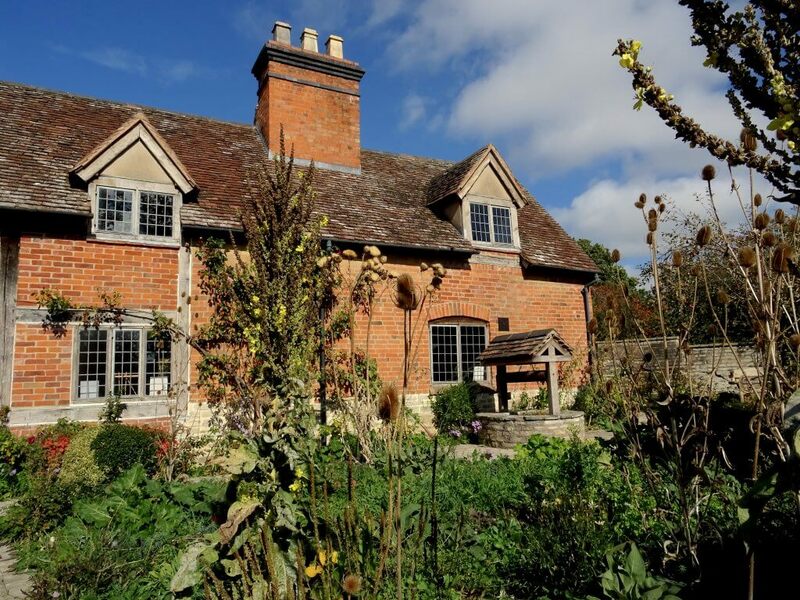 As you progress through the house you will learn about John Shakespeare, William Shakespeare, their family life and what happened to the house after John Shakespeare died. The actors in the garden that recite parts of Shakespeare’s plays and sonnets – they will even do (Shakespearean) requests. New Place was William Shakespeare’s family home from 1597 until his death. It is found in the town, near the Guildhall where Shakespeare went to school. Unfortunately, the house itself was demolished in 1759 as the owner got sick of tourists wanting to see the house (what would he think now), so only the foundations remain. However, do not let this deter you from visiting. In place of the house is a garden, with lots of artwork representing Shakespeare’s works. The reimagined site gives a sense of the size of New Place compared to the surrounding buildings. Originally there would have been orchards, vegetable patches and animals. There is plenty of information about the house and Shakespeare throughout the garden. In the adjacent building, there is also an exhibition about New Place. The mulberry tree said to have been planted from a cutting of the mulberry tree of Shakespeare’s time (which was cut down). Not far from New Place, Hall’s Croft can be found. This was the home of Susanna (Shakespeare’s eldest daughter) and her husband John Hall. This house has been refurbished as a typical Jacobean home, as it would have been when John and Susanna live here. There are also some original features. John Hall was a doctor, and apparently quite a good one. Therefore, not only can you learn about Jacobean life here, but also medicine. 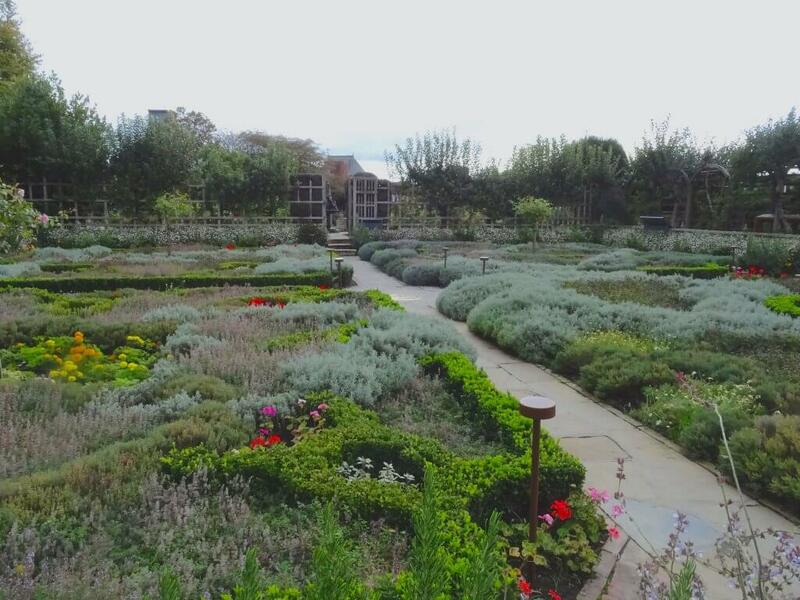 There is an exhibition all about the medicine of the day and in the garden, you can find medicinal plants and herbs. Some of the medicine and practices are totally wacky, some make perfect sense. In the house, there are also staff very happy to help with questions about the practices. The Coat of Arms, outside. The arms are a joining of Shakespeare’s and Hall’s. This house is about a half an hour walk (or ten-minute drive) from the centre of Stratford. This five hundred-year-old cottage is where Anne Hathaway grew up and where Shakespeare courted her before she became his wife. The Hathaways were successful sheep farmers, and so the cottage has quite a bit of land to be explored too. You basically have to walk around the cottage before you enter it. Inside the cottage are some original features, inventories and very old furniture. The staff here are also very talkative and will tell you everything you could want to know about the cottage. Make sure you have time to explore the grounds too. There is a woodland walk and a garden that is planted with trees mentioned in Shakespeare plays. The garden also has sculptures of the plays. The bed given to the Hathaways from Shakespeare’s granddaughter – could this be the infamous “second best bed” from Shakespeare’s will? About a fifteen-minute drive, or about an hour walk along the canal, is Mary Arden’s Farm. This Shakespeare property is closed over the winter, so ensure it is open before visiting. This property is actually a working farm, which has several rare breeds of domestic animals. As a working farm, the staff, which are dressed as Tudors, are farm hands as well as being there to help you learn about the farm. Mary Arden was William Shakespeare’s mother. This is where she lived and worked on the farm until she married John Shakespeare. There is also Palmer’s Farmhouse, which actually looks more ‘Tudor’ and was thought to be the Arden’s until recently. This farm makes a great day out and I recommend budgeting a whole day if you can. There are the houses to be explored, a farm trail, animals to be seen plus lots of demonstrations and tours throughout the day. There are demonstrations that you can join in with too, such as goose herding. Yes, goose herding. The difference in the heights of the doors in the house, this can be explained! 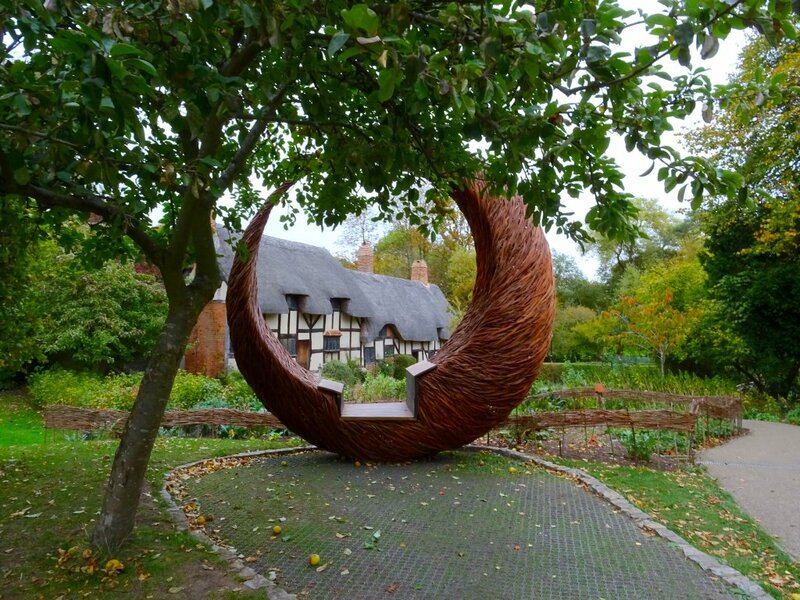 If you are going to Stratford-upon-Avon purely to visit the Shakespeare houses, they can be seen in two days. 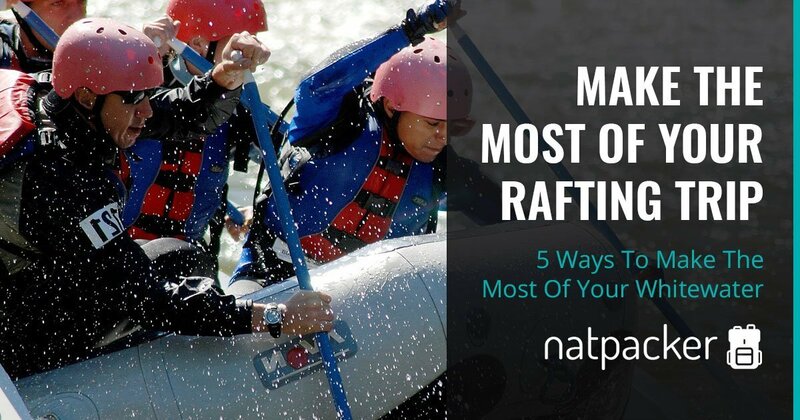 However, I would advise taking a more leisurely pace and budgeting at least three days. That way you can also enjoy the town itself and explore the houses at your own pace, rather than rushing through. I would also advise you to buy the Full Story Ticket from the Shakespeare Birthplace Trust. 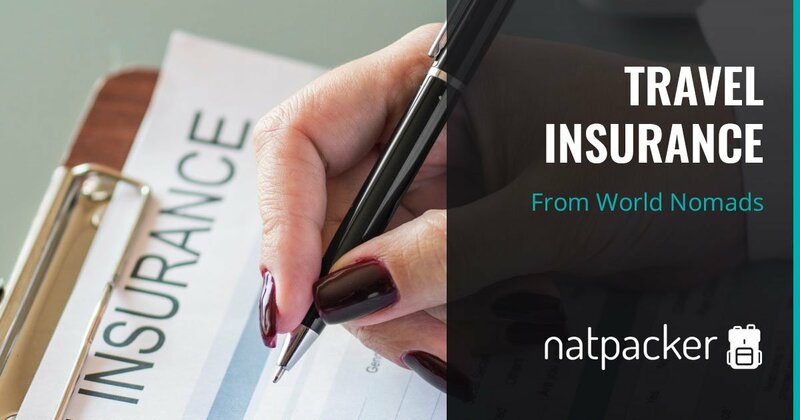 Priced at £20.25 (at time of writing – subject to change), this gives you unlimited access to all five properties for a full year. As Stratford has plenty to see and do, I wouldn’t have a problem going back several times and seeing the houses again and again. 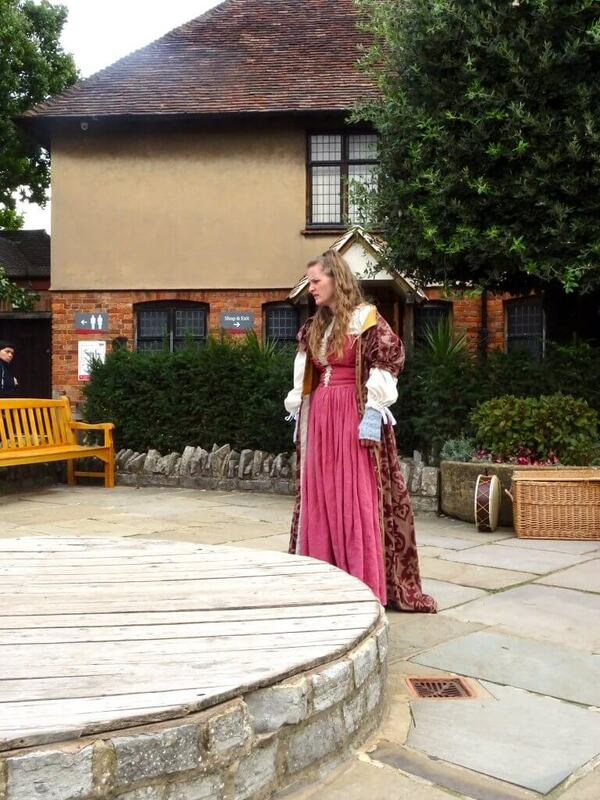 I could of sat in the garden of the Birthplace for hours watching the actors perform. As single tickets to the properties cost between £7.65 – £15.65 (at time of writing, once again, subject to change), you can see that you only really need to visit between two and three properties to make this ticket worthwhile. The Shakespeare Birthplace Trust is an independent charity dedicated to the preservation of Shakespeare’s heritage. They also promote the enjoyment and understanding of Shakespeare’s works. The charity was formed in 1847 after the purchase of the Birthplace as a national memorial. 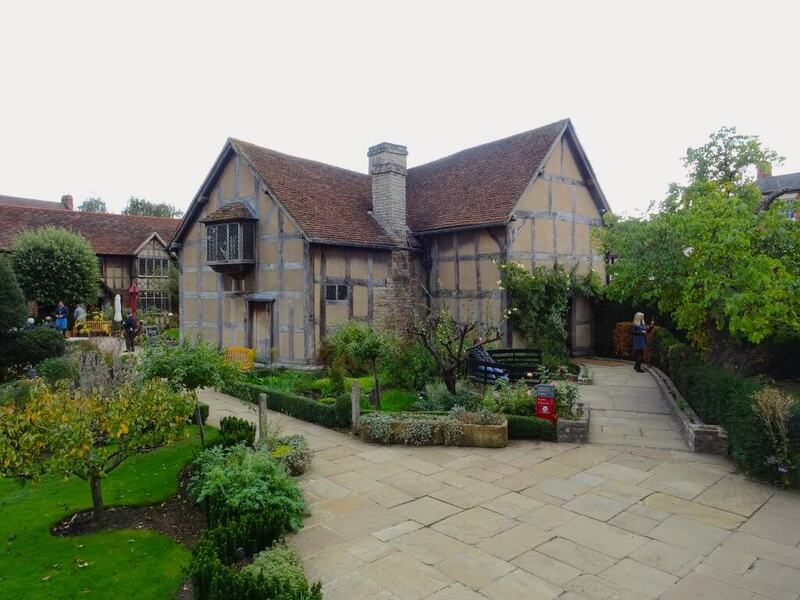 Now they own five properties, that are all cared for and can take the visitor on a tour of Shakespeare’s life. They also own the largest Shakespeare-related library and care for the Royal Shakespeare Company’s theatre records. This actually looks pretty good! This year will be my year of looking around the uk so will add this to my list. Because I’m lazy (and I don’t know who to use google ), how long does it take to get there from London? I believe it takes about 2 hours on train from London, with a change or two. Amazing history here! Very interesting to read, I hope to visit the UK one day and explore. Thanks for sharing your experience! Glad you enjoyed reading! When you get to the UK, these should definitely be on your list to visit, especially if you like history. You definitely should go back and visit the rest. Each house is unique and gives you information on different things, from Shakespeare himself, to Tudor life in general. I loved walking around them all, and the more time you can give to each the better. I have visited the Globe plenty of times, but I never considered visiting all these houses. I can see why you love it all though! £20.25 is a bargain for visiting them all! It really is good value and you know you’re money is going towards the upkeep of the houses.